The other reason I'm really excited for this week's recipe is because I filmed my first video recipe. You can find it below or on YouTube :) I'd love to hear your feedback, or see any #BrokeAndCooking recipes you've made! Let's get...freezing? Granola: My favorite granola is Nature's Path Organic Pumpkin Flax Seed Granola. The crisped rice puffs add amazing texture, and this granola is packed with yummy pumpkin seeds and flax seeds! Nutiva Chia seeds, flax seeds, maca powder, nuts, protein powder, etc. Mix together 16 oz plain yogurt or Greek yogurt with a drizzle of honey. You can also opt to mix in some chocolate, or protein powder. 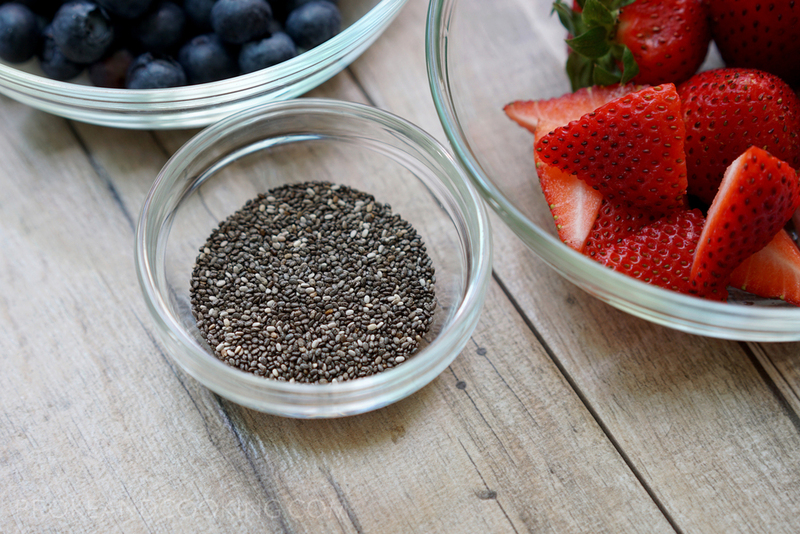 Pour the yogurt onto the parchment-lined baking sheet and spread it into an even layer. The thicker the layer, the thicker your bark. 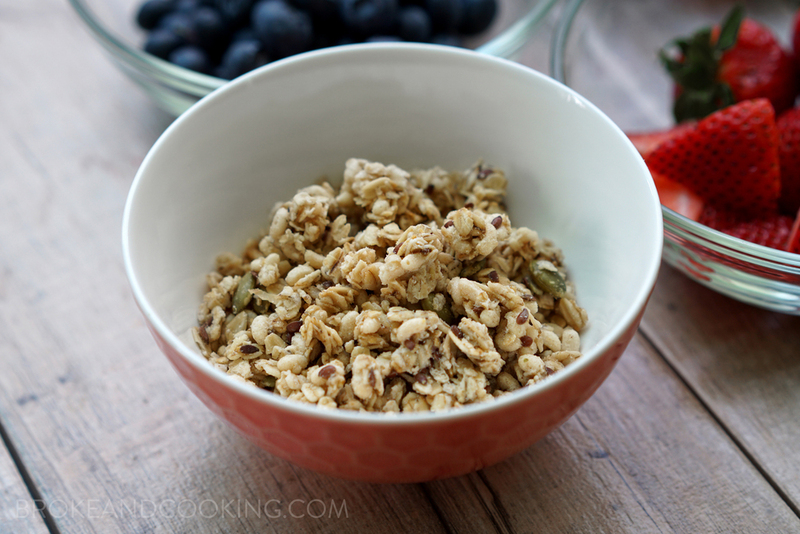 Plop in a combination of your favorite fruit, granola, and add-ins! Put the yogurt into the freezer and allow it to set, at least 2 hours. I think the bark is sooo gorgeous, lol! It'd be really great to use berries to 'dye' the yogurt, or a chocolate bark would be really beautiful as well. You can use different color combinations for special occasions or holidays :) Such a great, portable way to eat yogurt!